Today is one of the very few times in the year when the actions of women towards Jesus are at the centre of our recollection. We recall that Jesus was supported and helped by women in his work as he moved around Palestine. We also recall the incident when an unnamed woman anointed his feet with oil, kissed his feet, and wiped away her tears with her hair. Her sins were forgiven because she had shown such love. Now we are gathered at table with the Lord, let us pray that our love will be such that our sins may be forgiven. 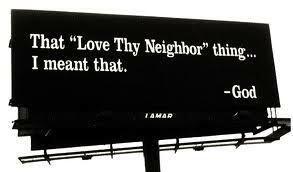 Once again, as in the last two Sundays, we see Jesus relating with people. This time the passage is much more complex. - Jesus relates with the Pharisee in verses 39 to 47. 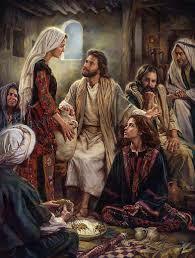 - Jesus relates with the woman in verses 36 to 38 and then again in verses 48 and 50. St Luke evidently intended the two stories to shed light on each other, but they can also be taken separately. In either story you can focus on Jesus, noting how he treats each of the two people differently, according to their needs, but being compassionate and respectful to both. You can identify with the Pharisee, noting his good points as well as the bad ones, making sure you don’t read it self-righteously, but discovering yourself in him. The woman symbolizes all outcasts, those who “have a bad name in town” for any reason whatsoever. The parable in verse 41 can stand on its own and you may find that it touches you. Verse 49 introduces a group of people “with Jesus at table”; you may find that you identify with them, or with the way Jesus relates with them in verse 50. The practice of forgiveness is essential to Christianity. If we do not forgive ourselves and others, we will be unwilling or unable to appreciate God’s forgiveness. This, in turn, means that we will never be truly happy and content. It also means that we will be unable to receive God’s forgiveness. Jesus taught that ‘the amount you measure out is the amount you will be given’ (Mark 4:24). Therefore we are required to forgive others to the extent that we hope to be forgiven ourselves — by others and by God. And yet, forgiveness is the most difficult task in our lives because it requires us to let go of the hurt that is often deeply rooted. We know that Jesus was ‘a friend of sinners’ (Luke 7:34). When he visited the home of Simon the Pharisee for a meal, he shocked Simon and the other people there when he said to the woman who arrived unexpectedly and anointed his feet with ointment: ‘Your sins are forgiven’ (Luke 7:48). Jesus treated the woman who had a bad reputation in the same way that he treated all sinners: he readily forgave her sins. Occasionally, unlike God, we refuse to forgive. We may say to another person: ‘Maybe God forgives you, but I do not forgive you.’ Or we may say to ourselves: ‘Perhaps God forgives me, but I don’t.’ So we acknowledge that God gladly forgives sinners while, at the same time, stating that we refuse to do so. This is a very dangerous scenario because, when we engage in it, we risk committing a most serious sin. The logical conclusion of such a stance is that we have higher or more exacting standards than God. If that is so, the implication is that we are greater than God, which is tantamount to saying that God is subservient to us. We make ourselves into false gods, thereby breaking the first commandment as well as infringing Jesus’ instruction to forgive our neighbour continually (see Matthew 18:21-22). Sometimes we think that, unless we forget whatever was said or done that hurt us, we have not forgiven. But forgiveness is about an act of the will — it has nothing to do with the emotions which may remain. And it is not necessarily about forgetting the hurt caused. Forgiveness is about deciding not to be controlled any longer by the effects of the hurt, and not to nurture the grievance which only makes us bitter and angry. On a spiritual level forgiving means recognising that nothing we suffer in this life is equivalent to what Christ, who was totally innocent, suffered and died to secure our salvation. By uniting our sufferings with his suffering, we strengthen our character and our souls. Only then will we be really free people, because only then will we be able to think about or be in the presence of those who have offended us without allowing their damaging behaviour to cause further hurt. The reality is that it is easy for God to forgive sinners because he loves us. We are challenged by the Good News of salvation to imitate God’s desire to forgive. As people who are forgiven, we are called to be forgiving towards ourselves and others. If we refuse to forgive, then we will be unable to value forgiveness when it is offered to us from other people and God. We pray, then, that we will be gracious in accepting forgiveness when it is offered and that we will be generous in forgiving others. Two completely separate pieces of his narrative are placed one after another simply because the first story concerns Jesus and a woman, so that forms the cue to Luke to inform us of the women in the support group around Jesus. The woman forgiven her sins brings out several Lukan themes: Jesus accepting a welcome to sit at table, his rejection of the notion that God’s mercy is limited to the religiously observant and up-right, and that love is the centre of the law. It also provided Luke with an opportunity to show Jesus as a prophet and as one who can on his own authority forgive sins. Luke is here assembling a snapshot of who Jesus is seen to be in this instance: the Anointed One (i.e. the Christ), the Prophet, the Forgiver, the Saviour. Traditionally, this woman who anoints his feet in this scene is identified with Mary Magdalen (hence ‘maudlin’ [using the Middle English pronunciation of ‘Magdalene’] for a crying woman, and ‘Magdalen Homes’ for ‘fallen women’). Not only is this identification (1) wholly unfounded; (2) a recollection of an attitude to women pursued in the name of the church that is a horrible blemish in our history; (3) but shows with what little care this gospel passage was read: it is essential to Luke’s message that this woman is without a name for she is representing all humanity before the Christ – and an individual name would distract from that role. So make sure you do not refer to this woman as ‘Mary Magdalen’. By contrast with the anonymous woman of the first part, there are three women named as being part of the entourage or support network of Jesus. The named women were obviously well remembered in the early church. However, Mary from Magdala apart, who is remembered as a pastiche of several women in the gospels, neither Joanna nor Susanna passed into hagiographic memory while the work done by women that is recalled here by Luke was almost wholly forgotten. 1. How do you imagine Jesus moving around Palestine? It is usually an all male affair: Jesus in the lead, and twelve men following on behind. It is the same group that we think of around the table in the famous picture of the Last Supper by Leonardo da Vinci. Indeed, this is the way Jesus and his group have usually been painted: a group of twelve men around Jesus, and then that small group meet other people such as Pharisees, women, tax collectors, the crowds that came to listen, and then the occasional other named individ­ual. Indeed, the group around Jesus is so small and so fo­cused on the twelve that we call them in everyday speech, ‘The Twelve Disciples’ or ‘The Twelve Apostles’ or simply ‘The Apostles’ and mean by that name the twelve men that went about with Jesus. 2. When we read the gospels a little more carefully we see a much richer picture than that popular memory; and the end of today’s gospel is one of those few times when we publicly read at the Eucharist one of those little details that can so alter how we imagine Jesus and his first followers. 3. Let us begin with noting the diversity of the women men­tioned today. There is this woman called Mary from Magdala (traditionally she has been amalgamated with other women named ‘Mary’ and with a few unnamed women also). She might be seen as a typical hanger on to a religious reformer as she has been cured by him. She is obviously travelling with Jesus, but there is no indication that she was one of those who could provide for the needs of the group. Then there are Joanna and Susanna who are clearly wealthy, and very independent minded women (e.g. we are told about Joanna, but not what Chuza thought about Jesus), who were also influential in society. Then we are told that there were many other women, and that these women provided ‘out of their own needs’ for what was needed to support the group, Jesus and his followers, who were making their way around Palestine ‘bringing the good news of the kingdom of God’ to the towns and villages. In modern jargon it is these women ­and their wealth and generosity – that are ‘the grass-roots support’ or ‘the logistic support infrastructure’ for the com­ing of the kingdom. 4. 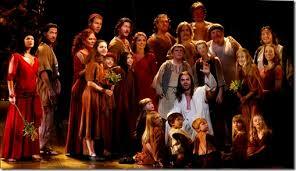 So how can we have a more adequate picture of Jesus with his first disciples? We could think of it as four concentric cir­cles around Jesus. The largest group is made up of all those ­women and men – who listen to him and accept his message that the kingdom of God is coming close to them. Then in the next circle there are those – women and men — who are de­voted to him. They provide the support structure that allows him and his followers to move about preaching. They must have provided support in many ways – shelter, food, hospi­tality, and also money. Many of the women mentioned in today’s gospel belong to this circle. Then there is the circle made up of men and women who travelled around with Jesus. This group was not only his support team, but the community that encapsulated in its manner of living the new way of life that belongs to the New People of God. It is with this group we have to imagine Jesus sitting down each day at table and it is from this group that some were sent off preach­ing two by two. All the people – women and men – in the sec­ond and third circles are, as a group, named ‘the disciples’, while those from this group who were sent off on missionary tasks were called the’ apostles’. Lastly, we come to the small inner circle of twelve men known simply as ‘The Twelve’ This group was chosen by Jesus to be for the New People of God what the twelve sons of Jacob (i.e. the fathers of tribes) were for the original People of God. 5. So we have (1) Jesus and (2) his symbolic group of ‘Twelve,’ then (3) we have ‘The Disciples’ that went arour with him on his preaching mission: men and women who: number we do not know and only a couple of whose name we know, then (4) we have more ‘Disciples’ that enabled the preaching group to stay on the road; and then (5) those who accepted the news of the kingdom. 6. The whole picture – although it is far more complex how, a marvellous array of ways of being at the service of the gospel. And, without those women who were fully part of the ministry of Jesus, the good news would not have been proclaimed. 7. We use phrases like ‘the church founded on the apostles’ and ‘the apostolic church’ and we think of twelve men; when we use such phrases we must include Mary from Magdala, Joanna the wife of Chuza, Susanna, and the many other women mentioned by Luke. "There are two types of people in the world. The first are those who bounce into a room and shout, 'Rejoice, I am here.' The second are those who come into the same room and exclaim, 'Ah, there you are." So has a pundit written correctly about us. Simon the Pharisee is the former. The woman sinner is the latter. Clearly Luke was not a male chauvinist. No one speaks more favorably or more often than he about women with the exception of his Master. His work is properly called the Gospel of Women. But it is equally correct to call it the Gospel of Forgiveness. None of the Evangelists speaks as frequently as Luke about the forgiving spirit that motivates the Nazarene. There is no virtue that Jesus recommended that Plato and Cicero had not run up the flagpole before Him. But what makes the Christ an original is His power to forgive sins. The story is told with such bold strokes that it supports the tradition that Luke was an artist. It is said he painted a portrait of Mary. Imagine what a price such a picture would command in the auction houses of London and New York City. There is mystery about the tale. His is the only Gospel to tell the account. He does not tell us the time or place of the incident. That is unusual. And who was the Simon the Pharisee? We have no clue. Simon was a common name. It is mentioned eight times n the New Testament. Why was Luke so stingy on the facts? He wouldn't get a job on the History Channel. Though prostitute, the woman is clearly the hero of the story. Unlike Simon, she is not named. What is likely is that Luke wants to deliberately protect her identity from any possible detractors. Again is evidenced his concern for women. Simon from his manners or, better, the absence of them did not invite Jesus out of a spirit of hospitality and bonhomie. He just wanted to check Him out. He probably had heard much about this wonderworker. Notice in verse 40 he, tongue in cheek, addresses his guest as "Rabbi." He was patronizing. Luke infers that though he could buy and sell most of us, he was in spirit a very small guy. He was hardly a "mi casa tu casa" host. Christ was aware of the contempt in which Simon held Him. He had not given Him the traditional welcome kiss on the cheek. He had not offered Him any water to wash the heavy dust of the roads off His sandal-covered feet. He had not poured perfumed olive oil on His Perspiration covered head. As He sat down to supper, Christ must have felt physically uncomfortable and unclean. But He kept His silence. There would be time enough for a tete-a-tete with Simon before the night's meal became history. Christ would have the last word. To take advantage of breezes, the meal would be held in a courtyard. It was the air-conditioning machine of the day. Traditionally the poor were allowed to come in and gape at their betters. They would keep their mouths firmly shut. This was their peculiar idea of a night out. Luke pointedly tells us the prostitute stood behind Jesus. Had she walked out of the house into the courtyard? She seems to know her way about the mansion. Also Simon knows what she does for a living. Is Luke telling us he has used her services? If so, Simon is not merely a coarse prig but also a hypocrite. She speaks no words to the Teacher. Nor does she presume to touch His head though it needs anointing. Rather, she washes His dirty feet with her tears and perfume and then dries them with her long hair. It was the gravest of offenses for a Jewish woman to appear publicly with her hair loose. But for the Christ it was all systems go. The sky was the limit. For her beau geste, Jesus forgives her sins. He compliments her. He knows "compliments fall lightly, but they carry great weight." Jesus works Simon over with His sharp tongue. He must have caused him serious indigestion. Simon quickly realized that whatever this Rabbi might b e, He was no nerd. He had misjudged the Man. He would never go mano a mano with Him again. The Pharisee is a moral midget. The woman a moral giant. It is said if want to be like the woman, adopt Luke's ten point program. Pray Big. Think Big. Believe Big. Act Big. Dream Big. Work Big. Give Big. Forgive Big. Love Big. Laugh Big. When we read bible passages, or hear them read to us, we glean more if we pay attention to who wrote them, why they were written, and what were the authors trying to convey to us. Today’s gospel passage comes to us from St. Luke’s gospel. St. Luke was a physician. He had a special concern for those who were hurting and needed healing. Therefore it was by no accident that St. Luke included today’s episode about the sinful woman in his gospel. In other parts of his gospel we learn of outcasts, people who had been shunned and hurt by others, people who were ill-treated. In his writing, St. Luke pays special attention to women and the role they played in the life of Jesus. In St. Luke we find Jesus giving women attention, respect, and honor they would not otherwise have received in the culture in which they lived. Also, in reading Sacred Scripture we need to see ourselves in the various characters that are presented to us. For instance, in the Parable of the Prodigal Son we need to see ourselves as the younger son, see ourselves as his elder brother, and see ourselvles as the father. We need to picture ourselves in their attitudes and in their behaviors. We need to look at St. Peter and see elements of his character and attitudes in our own. The same for St. Joseph. And, of course, and perhaps above all, see our Blessed Mother’s characteristics, her attitudes, and her relationship with her Son in our own personalities. How are we similar to them? How are we not at all like them? The images of the humanity of the saints are given to us so that we might find our humanity in theirs. With that in mind we can turn now to today’s Gospel account. Aside from Jesus, two important human characters emerge when we gaze into the picture presented to us. One is the Pharisee, the other the sinful woman. I want to point out to you that it was the custom in those days to offer water to those who entered homes for a meal, water to wash the dust and dirt off their feet and water to wash their faces and hands. This was normal and expected courtesy. Here, in this episode, the Pharisee offered no water to Jesus even though Jesus was an invited guest. It was a snub, a snub that in effect said “You are dirt as far as I’m concerned.” Normally a warm greeting with a kiss on the cheek was tendered. You see that even today among Arabs when they first meet and greet each other. Upon Jesus arrival into the Pharisee’s home He was given no kiss, no sign of closeness or friendship. In other words He was told He was an outsider. The message was: “You’ll get no respect here!” Anointing with oil was another gesture of hospitality. Actually it was a kind of perfume. In those hot, dusty regions you can imagine the smells that must have accumulated in the clothes of travelers. Perfumed oil was a way of making the guests more comfortable. Anointing with oil also had a healing quality to take care of muscle aches, pains, and weaknesses. What about the woman who appeared at the dinner? Was she invited? Probably not. After all she had a bad reputation and had most likely been sexually promiscuous. We don’t know how she got into the party but that doesn’t matter. What we do know is that she was conscious of her sins, quite conscious of them. She knew she needed forgiveness and acceptance. Quite obviously she knew who Jesus was and that he was a holy man, an extraordinarily holy man of God. Boldly she approached Jesus, washed His feet with her tears, wiped them clean with her hair, and then covered His feet with her kisses. These actions were very intimate… but then she knew a lot about intimacies. The guests at that dinner must have been shocked. She also knew a lot about Jesus and the forgiveness that overflowed from His heart. She could recognize love when she saw it, and she fully recognized all of the love in Jesus’ heart. So she humbly laid claim to it. We would do well to see ourselves in her. The theologians and preachers of the Early Church, the Church Fathers as we call them, saw her as a type, an icon, of the Church. That being so, we, the members that constitute the body of the Church, should likewise recognize ourselves in this woman. We certainly should fear being like the Pharisee who kept himself aloof and distant from Jesus. Worse still, he sat in judgment on Jesus and claimed that Jesus could not forgive sins because forgiveness of sin is something private, something between the sinner and God alone. We hear that said in our own lives these days. We hear that forgiveness of sin is something between God and the sinner only, and that the Church and her priests need not be involved. All of this causes me to leave you with two questions, questions that are extremely important for each one of us here. First question: Just how close are you to Jesus? Can you see yourself on as intimate terms with Him as this woman saw herself? Do you approach Him as humbly and boldly as she did? Second question: When was the last time you allowed Jesus, present in His Church and in His priests, to forgive you your sins? Can you find God’s forgiveness for you coming to you in Christ’s Body, the Church? In other words, are you more the Pharisee than you are the woman in today’s gospel account? so that people were overly burdened by feelings of guilt. and do not allow us to make the painful journey to repentance. - our jealousy of those who succeed where we have failed. and that we can go in peace. and we thank you that Jesus defended her against the Pharisee. We pray that our Church leaders may do the same for women in the world today. 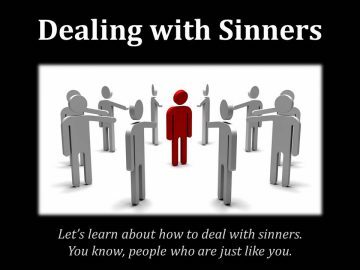 Lord, in the Church today we have a way of categorizing certain people as sinners. We treat them with condescension and speak of “praying for their conversion”. and assured them that it was their own faith that had saved them. a word of encouragement and of healing. Lord, in life we receive countless lessons that leave us unmoved. one of our parents or relatives, a teacher, a spiritual guide. and then they wait for us to ask them before they continue. the lesson they want us to draw, assuring us then that we were right. Thank you, Lord, for those teachers. we soon become cold and business-like in our relationships with people. We no longer welcome them warmly or show them signs of affection. It is because we are complacent. so that we could get where we now are. waiting in the shadows and needing to be recognized and accepted. As if good people should not let themselves be touched by sin. Lord, truly kind people have an extraordinary power. at how they can make others experience that their sins are forgiven. Such people are the presence of Jesus with us. Introduction: Today’s readings give us an invitation to repent, do penance and renew our lives instead of carrying the heavy baggage of our sins. Our God is a God Who always tries, not to punish, but to rehabilitate sinners, so that we may be made whole and experience inner peace and harmony. Today’s liturgy celebrates the fact of God’s forgiveness. Scripture lessons: In the first reading, David’s sincere repentance for his sins of murder, adultery and deceit is met by God’s gracious and loving pardon. Today’s Responsorial Psalm (Psalm 51), has been regarded as David’s prayer of repentance. It includes an acknowledgment that the injustice done against another is a sin against God Himself: “having sinned against none other than You.” St. Paul, in the second reading, reminds us that it is by Faith in Jesus that we are saved. He says that it is the realization that Christ died for us and lives in us that should bring us to true repentance, leading to renewed life in Christ. Paul suggests that the experience of forgiveness is made available to all sinners through the saving cross of Jesus. Presenting the true conversion and repentance of a public sinner, today’s Gospel invites us to real repentance. Jesus challenges us through this Gospel episode to have a forgiving attitude to our neighbor and a deep awareness of our own personal need for God’s forgiveness. 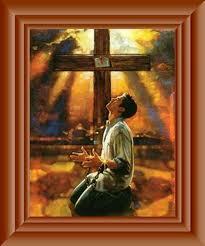 Life messages:# 1: We need to accept the mercy of God: We are challenged to accept or reject the mercy of God. We often share Simon’s mentality, displaying an attitude of lovelessness and harshness. Let us remember that Simon’s self-sufficiency prevented him from acknowledging his need for the grace of God. Do we invite Jesus into our lives in the hope of gaining prestige? Or do we love him because he is the one and only Savior who has died for our sins? # 2: We need to be grateful to our forgiving God: As the repentant sinner showed her gratitude to Jesus by anointing his feet with tears and precious ointment, we too should show gratitude to God for unconditionally and repeatedly pardoning our sins. This is possible only if we try our best to keep the promises we make in our act of contrition in confession "to sin no more, and to avoid the near occasions of sin.” Our sincere attempts to avoid the occasions of sin will be proof of our sincere repentance and the expression of our gratitude to the merciful God who has forgiven our sins. # 3: We need to cultivate a forgiving attitude towards our neighbor: Although it is not easy, we must learn to forgive those who hurt us if we want to be able to receive the daily forgiveness we need from a merciful God. We start forgiving when we try our best to patch up quarrels, misunderstandings and disagreements and pray sincerely for the well-being of our offenders. Introduction: Today’s readings give us an invitation to repent, do penance and renew our lives instead of carrying the heavy baggage of our sins.Our God is a God Who always tries, not to punish, but to rehabilitate sinners, so that we may be made whole and experience inner peace and harmony. Today’s liturgy celebrates the fact of God’sforgiveness.In the first reading, David’s sincere repentance for his sins of murder, adultery and deceit is met by God’s gracious and loving pardon. Today’s Responsorial Psalm (Psalm 51),has been regarded as David’s prayer of repentance. It includes an acknowledgment that the injustice done against another is a sin against God himself: “having sinned against none other than You." St. Paul, in the second reading, reminds us that it is by faith in Jesus that we are saved. He says that it is the realization that Christ died for us and lives in us that should bring us to true repentance, leading to renewed life in Christ. Paul suggests that the experience of forgiveness is made available to all sinners through the saving cross of Jesus. Presenting the true repentance and conversion of a public sinner, today’s Gospel invites us to real repentance. The second reading: Gal 2:16, 19-21:Writing to the Galatians, St. Paul asserts, "What makes a person right with God is not obedience to the Law but Faith in Jesus Christ." It is this Faith in the mercy of God and trust in Christ’s forgiveness which prompted the sinful woman to throw herself at Jesus’ feet and surrender herself entirely. Her action proves that Faith is primarily an act of love and total trust. That is why St. Paul argues that it is trust in God through Jesus Christ that transforms our lives. When Paul said that a person is not justified by the works of the Law, he was referring to the Mosaic Law and all its ceremonies, the different kinds of animal sacrifices andofferings for the forgiveness of sins. With the arrival of the Messiah, the Mosaic Law had become obsolete. When Paul refers to justification by Faith, he is making reference to the necessary attitude of the person concerned. That attitude includes the acceptance of the Divine revelation made known through Christ and the individual’s necessary response to that revelation – a complete dedication of his/her personal life to Christ. Because the Christian has been crucified with Christ, it is no longer he who lives, but it is Christ who lives in him. This new status of justification has not been achieved because of the person’s good works; it was only made possible through the saving work of Christ. Through Faith and the Sacrament of Baptism, [Rom. 6:3] the Christian has been identified with the phases of Christ's passion, death, and Resurrection. And so he can "live for God". There is no need for Law when our lives are totally directed by love. As long as there is love, the real intentions of the law will be observed even if one violates the letter of a law. Such a person can say with Paul: "I live. No, it is not I, but Christ lives in me." Exegesis: The host: Although all four Gospels include accounts of an anointing of Jesus by a woman (see Matt 26:6-13; Mark 14:3-9; John 12:1-8), Luke’s account is so different that it suggests this is a different incident. Why did a Pharisee like Simon invite Jesus to his house? It could be that Simon had invited Jesus with the deliberate intention of enticing him into some word or action which could then be made the basis of a charge against him. More likely, Simon was a collector of celebrities and with a half-patronizing contempt had invited the young Galilean to have a meal with him. That would best explain the strange combination of respect along with the omission of the usual courtesies. Simon was a man who tried to patronize Jesus. Courtesies omitted: Jewish good manners demanded that when an invited guest entered such a house of banquet, three things were always done. a) The host placed his hand on the guest's shoulder and gave him the kiss of peace. That was a mark of respect, which was never omitted in the case of a distinguished Rabbi. b) Since the roads were only dust tracks, and shoes were merely soles held in place by straps across the foot, cool water was poured over the guest's feet to cleanse and comfort them. c) Either a pinch of sweet-smelling incense was burned or a drop of attar of roses was placed on the guest's head. A parable of criticism and teaching: The rabbinical teaching said prostitutes should be kept at a distance of two yards. While Simon silently condemned Jesus for not divining the character of the woman, Jesus proved himself to be a prophet by reading the secret thoughts of Simon. Jesus then presented the parable of the two debtors to Simon, asking him, which person loved the merciful creditor more: the one who owed five hundred denarii or the one who only owed fifty. Through this parable Jesus defended and justified the good intentions of the woman who had publicly demonstrated her true repentance. He also criticized the rude and inhospitable behavior of his host who had prided himself on his strict observance of the Mosaic Law. Thus Jesus demonstrates correct understanding of forgiveness and justification. The verse "She has shown great love" has become a classic text for showing that perfect charity has the power of forgiving sins: Jesus first loved the woman and she responded to his love by loving him back in this full surrender. 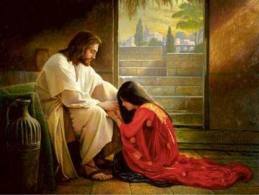 That allowed her to receive his forgiveness for her sins. Her love for Jesus had not “earned” her forgiveness: Jesus’ pronouncement, “Your sins are forgiven; your faith has saved you” (v. 48), is a confirmation of what occurred, i.e., the divine initiative, reaching out to bestow forgiveness or justification and the loving penitent receiving it with joy. In the final verses of today’s reading (8:1-3), Luke reemphasizes Jesus’ special predilection for those who understand their need for justification, for these alone can receive His ever-offered mercy. Life messages: # 1:We need toaccept the mercy of God: We are challenged to accept or reject the mercy of God. We often share Simon’s mentality, displaying an attitude of lovelessness and harshness. Let us remember that Simon’s self-sufficiency prevented him from acknowledging his need for the grace of God. Do we invite Jesus into our lives in the hope of gaining prestige? Or do we love him because he is the one and only Savior who has died for our sins? # 2: We need to be grateful to our forgiving God: As the repentant sinner showed her gratitude to Jesus by anointing his feet with tears and precious ointment, we, too, should show gratitude to God for unconditionally and repeatedly pardoning our sins. This is possible only if we try our best to keep the promises we make in our act of contrition in confession "to sin no more and to avoid the near occasions of sin.” Our sincere attempts to avoid the occasions of sin will be proof of our sincere repentance and the expression of our gratitude to the merciful God who has forgiven our sins. # 3: We need to cultivate a forgiving attitude towards our neighbor: Although it is not easy, we must learn to forgive those who hurt us if we want to be able to receive the daily forgiveness we need from a merciful God. We start forgiving when we try our best to patch up quarrels, misunderstandings and disagreements and pray for the well-being of our offenders. The penitent woman’s intrusion into Simon’s dinner party was a risky thing to do. Her washing of Jesus’ feet was embarrassing to the reserved household of the host – but it was an act of extraordinary faith and confidence in the compassion of Jesus to forgive her sins and make her whole again. She models the humble spirit of gratitude to the God for life and compassion that is the foundation of faith. Her attitude stands in stark contrast to the calculated reserve of the proper Simon, who believes that Jesus has disgraced himself by acknowledging this pitiful display; but Simon fails to understand everyone’s need – including his own need – for forgiveness and reconciliation with those we hurt and who hurt us. We all need “five hundred coins” worth of forgiveness, but we may be too blind to our sinfulness or too afraid or too proud to ask that our debt be written off. Only in acknowledging that need are we able to experience the loving forgiveness of God the penitent woman receives at the feet of Jesus. Gentile society of Luke’s time had little regard for women. Throughout his Gospel, Luke exalts the role and gifts of women in the story of Jesus. In the final verses of today’s Gospel, Luke identifies two of the women who will be among the first witnesses of Jesus’ resurrection: Mary, called Magdalene, was a poor, mentally ill woman cured by Jesus; Joanna, the wife of Herod’s chief steward and manager, was a woman of considerable position and means. Both women, though of very different backgrounds, find sisterhood and community in the presence of the compassionate Jesus. Every one of us – from Pharisee to serving girl – is in need of forgiveness, of healing the hurts that estrange us from others. The Gospel Jesus challenges us to break the endless cycle of resentment and retaliation that often govern our lives through readily seeking and offering forgiveness. As disciples of Jesus, we are called to be reconcilers, not judges; we are called to forgive, not keep score; we are called to welcome back those who want to return and to enable them to put their lives back together, not to set up conditions or establish litmus tests to prove their sincerity. Gratitude is the first response we can make to the realization of God’s imponderable love for us. The woman who washes and anoints the feet of Jesus becomes the model of such a grateful response made in faith-filled praise for the compassion and forgiveness of God. As Jesus transforms the lives of those marginalized, forgotten and used by society, so we are called to do the same: to welcome and honor the poor and struggling, the lost and broken in our midst, and to realize, in all humility, how we are all in need of “five hundred coins” worth of forgiveness that we can find at the feet of Jesus. The warrior was furious. He shook with humiliation and was speechless with rage. He pulled out his sword and raised it above his head, ready to slay the monk. "That’s hell," the monk said softly. The warrior was overwhelmed. The compassion and the surrender of the little monk who had offered his life to show him hell! He slowly put down his sword, became filled with gratitude and was suddenly at peace. “And that’s heaven,” the monk explained softly. We can experience hell right here and now in our judging and condemning those who do not meet our standard of what is right and good, in letting pride and vengeance prevent us from forgiving and seeking forgiveness. And we can experience heaven in imitating the compassion, love and dedication to reconciliation of the Gospel Jesus. As disciples of Jesus, we are called to be reconcilers, not judges; we are called to forgive, not keep score; we are called to welcome back those who want to return and to enable them to put their live back together, not to set up conditions or establish litmus tests to prove their worthiness and sincerity. To love as Jesus loves demands that we live, not in skepticism or distrust, but in the optimism of faith that God always welcomes us back. Today’s first reading speaks of David’s misdeeds and sins for which he is confronted by the prophet Nathan. Not content with having an adulterous affair with Bathsheba, David plots the murder of her husband Uriah in order to cover up his sin. David as king had the responsibility to see that justice prevailed; instead he had committed grave injustice and fallen into deepest moral misery. Roused by the prophet’s words, he acknowledges and admits his sin and at the same time recognizes God’s divine mercy towards him. Because of God’s forgiveness he will not die in his sin but will be given a chance to live. In the movie Under the Volcano, Albert Finney plays a British diplomat in South America. His personal life and career have been at a steady downgrade. He is an alcoholic and his wife has left him and he’s been assigned to a remote diplomatic office. His wife returns to help him salvage his life before he destroys himself completely. But the diplomat comes to a tragic end, not because he dies an alcoholic at the hands of violent men, but because he dies without being able to accept his wife’s loving forgiveness or to forgive himself. –Forgiveness is the subject of today’s readings from Scripture. The Old Testament reading tells how Nathan confronts King David with his sin of adultery and murder, David acknowledges his guilt and is then forgiven by God. His fall occasions a greater fidelity. In the Gospel we are told of the meal encounter at Simon the Pharisee’s house. Jesus was invited by Simon and while he is enjoying the hospitality and the meal, a sinner woman comes into the house and falls at his feet and weeping, wipes his feet with her hair and anoints them. 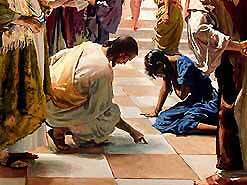 Simon is taken aback by the action of the woman and by the behaviour of Jesus. Simon finds the tears and the kisses of the woman unacceptable; by accepting them Jesus put himself in a different category, beyond the human rituals. For the woman, those tears are the silent expression of sorrow and thankfulness for the forgiveness she already senses. Jesus confirms her intuition: God has forgiven her much; how would she not love in return? We humans are quick to judge and go by externals; God goes beyond and knows our innermost motives that control our actions. He just forgives. A young man secretly misappropriated several hundred dollars from the business where he was employed. When the shortage was discovered the senior partner called the young man into his office. Immediately he knew he would be fired and sent into prison. His employer asked the worried man if he was guilty. He replied that he was. Then the executive surprised him. “If I keep you in your present capacity, can I trust you in the future?” he asked. “Yes sir, you surely can. I’ve learned my lesson,” replied the astonished employee. His boss must have detected the repentant man’s sincerity. “I’m not going to press charges and you can continue in your present responsibility,” he said. Then he added, “I think you ought to know, however, that you are the second man in this firm who succumbed to temptation but was shown leniency. I was the first. What you have done, I did. The mercy you are receiving, I received. It is only the grace of God that can keep us both,” – Isn’t it true that those who love best are those who know best that they are loved? Those who forgive best are those who are forgiven. Our best efforts only reflect the deep, deep love of God. But how they reflect! Graham Green wrote a powerful novel called The Power and the Glory. It involved a priest who decided to remain with his flock, despite the great danger of the persecution of Catholics in that country. Whether due to the pressure of his situation, or just an inherent weakness, he took to the bottle, and was alcoholic. He was in his prison cell. It was the morning of his execution. He was lying on the floor, reaching out in vain to an empty brandy bottle that was just beyond his reach. Suddenly, the situation in which he was, swept over him like a tidal wave. Here he was about to face his Maker. This was not going to be the kind of death he had hoped or prayed for. He was a failure, an alcoholic, a disgrace to his calling. He tried to mutter an Act of Contrition, but the words just wouldn’t come. From where he was now, it was easy to see that his life would have been so much better, and his death so much more peaceful, if he had only made an effort to be a saint, instead of a drunk and a failure. At that moment he believed that the only thing that should ever have concerned him was his attempt to become a saint. It all seemed so simple and easy now that it was too late. All he would have needed was a little courage and a little self-control. –He must have been filled with amazing joy at the hug of welcome he received when he came face to face with Jesus! Once upon a time, there was this parish director of music, a young woman just out of musical school. She found a children’s choir which everyone loved, an adult choir which no one liked because they sang too long, a scola cantorum which sang Gregorian chant, which some people liked a lot, and a teenage choir that “jammed for Jesus,” which the young people liked totally, and they were by their own admission the only ones that counted. She was also going on for her master’s degree and had a boy friend, who was a baseball pitcher without a future because he played for the Cubs. The pastor was delighted with the young woman’s talent and work ethic. After her first year he recommended to the financial council that she receive a fifty percent raise because, as he said, “She works harder than any priest I know.” We’re not considering a raise, they said. She’s only a kid. Let’s not give her a raise till she asks for one. If we do pay her more, she’ll be back in two years for more. More likely she will be out of here, said the pastor. This is a case of commutative justice said the pastor, who was kind of old and remembered these words from his social ethics courses. They still said no. He gave her the raise. Finance committee complained to the bishop who said that if she didn’t get a raise he’d hire her for the Cathedral. That was that. 2. Weather forecasters have the coolest toys. They have satellite "eyes in the sky." They can track off-shore flows and coastal disturbances, high pressure systems and low pressure cells, the rise and fall of the jet stream (whatever that is!). Television weather people even have the most interesting screens to work with, with all kinds of magic features to make this bigger and smaller. Yet, even with all these sophisticated, complicated technologies to help - as we all know - the weather report is often way wrong. Forecasting the weather is complicated. Living with the weather is not. In the last month parts of this country have been under water, parts of this country have been on fire, and parts of this country have been swept away by whirlwinds. All the meteorological explanations and predictions in the world don't change the reality. If you are in a flood zone-get to high ground. If you are on fire - get some water your way. If there is a hurricane coming, get out of town. If there is a tornado approaching, hunker down, preferably underground, and pray. No matter how complex the weather system, your best response is simple and straightforward. The complicated part is doing the simple. That phrase "It's complicated" was enshrined in a movie starring Meryl Streep a few years ago with the title "It's Complicated." But "It's complicated" is most often associated with the Facebook relationship status, where the choices are "single," "married," "in a relationship with" or "it's complicated." What it means when you choose "it's complicated" can be as diverse as you're unhappy with the relationship you're in, or you're no longer in a former relationship but wish you were. Some years ago I served as a campus pastor at Oregon State University, and one of the activities we had each week was a Wednesday noon study. From time to time we would pick different topics to discuss, and sometimes we would be hooked. At one of those luncheons we were discussing the book "The Courage to Teach." We were asked by our facilitator on that day to share an experience of a teacher who influenced our lives. Vicki Collins, an English professor, shared an experience of a teacher who changed her life during high school. She says the classroom in which her teacher was teaching was located on the side of the building where a main thoroughfare of the city ran. Traffic was constant, including the sound of emergency vehicles, throughout each day. At the beginning of each class, the teacher would complain to the students about the noise from the traffic. The emergency vehicles especially annoyed him with their sirens. After one weekend, the teacher addressed the class at the beginning as he usually did. This day he said he wanted to apologize to the class. He told them that this weekend his wife had an emergency situation. The service that the ambulance provided saved his wife's life and his baby's life. He told his students, "I want to apologize because I was listening to the noise instead of thinking about the lives." The disciples looked at a sinner in the community; they did not see the woman who in her life was reaching out for help. In his external world, the teacher heard noise. The experience with his wife and child caused him to inwardly see that lives were being cared for by those noisy vehicles. As a result of his experience, he gained a better perspective of his experiences with the emergency vehicles. He apologized to his students. Friends, Jesus is helping these disciples, and us, to see that there are lives that need care. Sometimes the "noises" of selfish desires, self-centered desires, greed, or bigotry, keep us from seeing beyond the sin or the wrongly perceived experiences of life. The opportunity we have is that of seeing Jesus' way of seeing people, seeing the possibilities for righteousness in them, forgiving them when they fall short, encouraging them to go in peace. There is an old legend about Judas that Madeleine L'Engle tells. The legend is that after his death Judas found himself at the bottom of a deep and slimy pit. For thousands of years he wept his repentance, and when the tears were finally spent, he looked up and saw way, way up a tiny glimmer of light. After he had contemplated it for another thousand years or so, he began to try to climb up towards the light. The walls of the pit were dark and slimy, and he kept slipping back down. Finally, after great effort, he neared the top and then he slipped and fell all the way back down to the bottom. It took him many years to recover, all the time weeping bitter tears of grief and repentance, and then he started to climb up again. After many more falls and efforts and failures, he reached the top and dragged himself into an upper room with twelve people seated around the table. "We've been waiting for you, Judas," Jesus said. "We couldn't begin till you came." 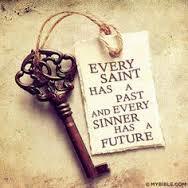 So many people are looking for a community of forgiven and forgiving sinners. Would they find what they are seeking here? Before the Reformation Martin Luther was in his monk's cell weeping because of his sins. His confessor, a young man, simply didn't know what to do, so he began repeating the Apostles' Creed. "I believe in God the Father Almighty, Maker of heaven and earth; And in Jesus Christ His only Son our Lord; who was conceived by the Holy Ghost, born of the Virgin Mary, suffered under Pontius Pilate, was crucified, dead, and buried; He descended into hell; the third day He rose again from the dead; He ascended into heaven, and sitteth on the right hand of God the Father Almighty; From thence He shall come to judge the quick and the dead. "I believe in the Holy Ghost; the holy Catholic Church; the communion of Saints; the forgiveness of sins; the . . . ."
"Wait!" Luther interrupted his confessor. "What did you say?" "What do you mean, what did I say?" "That last part. What was it again?" "Oh, that. I said, 'I believe in the forgiveness of sins.'" "The forgiveness of sins," Luther said as if savoring each word. "The forgiveness of sins. Then there is hope for me somewhere. Then maybe there is a way to God." There is a way to God. Jesus Christ died to provide that way. We may not be a woman of the city but there are sins that break our hearts as well. And there is One who sees those broken hearts and cares, and forgives, and heals, and makes whole. There is an old story about the Greek Marathon. Muscular, conditioned runners paced nervously near the starting line for the long-distance race. The time was near. They "shook out" their muscles, inhaled deeply, and put on their "game faces." In the midst of it all, a young stranger took his place at the starting line. His physique was awesome. Taking no notice of the other contestants, he stared straight ahead. Two prizes would be awarded the winner of the Marathon: a magnificent bouquet of flowers and the honor of standing beside the king until the conclusion of other contests. There seemed to be no question among the runners about who would win the prize. It is alleged that the stranger was offered money not to run. Someone else attempted to bribe him with property. Refusing the offers, he toed the mark and awaited the signal to run. When the signal was given, he was the first away. At the finish line, he was the first to cross, well ahead of the rest. When it was all done, someone asked the young man if he thought the flowers were worth as much as the money and property he had refused. He replied, "I did not enter the race for the flowers. I ran so that I could stand beside my king!" Again, the woman who "intruded" into the Pharisee's house apparently had one thing on her mind. She wanted to stand beside her king. Larry Powell, Blow The Silver Trumpets, CSS Publishing Co. I recall the first time I got a glimpse of the pyramids of Giza on the outskirts of Cairo, Egypt. I made the van driver stop so I could take a picture, but after a while as we got closer, I asked that he stop again for another shot. Several times we went through the same process as the three grand pyramids opened up before us. Grace is like that. It opens up wider and wider, more and more grand. Our first glimpse seems so small compared with now. The great pianist, Paderewski, had a friend whose little girl was going to give a piano recital. Out of respect for his friend, Paderewski accepted the girl's invitation to her recital. When she saw the famous pianist in the audience, she got stage fright, forgot her piece, and broke down in tears. At the close of the concert, Paderewski said nothing to her but went up and tenderly kissed her on the forehead and left. If she had not made the mistake and failed, she would not have received a kiss of love and understanding from the master pianist. Likewise, it is when we stumble and fall into sin and are complete failures that the mercy of God in Christ is experienced in terms of forgiveness. When you enter a synagogue or a church, you know it is one that is prayed in, because it has the odour of sanctity about it. You also can tell when you've entered a happy home -- there's something in the atmosphere. If there has been continual fighting, even the smiles that are put on for you won't fool you. And so the pain must be addressed. Archbishop Desmond Tutu, as quoted in Colin Greer, Without Memory, There Is No Healing; Without Forgiveness, There Is No Future, Parade, January 11, 1998, 6. Today's gospel reminds me of the story of the cookie thief. A woman at the airport waiting to catch her flight bought herself a bag of cookies, settled in a chair in the airport lounge and began to read her book. Suddenly she noticed the man beside her helping himself to her cookies. Not wanting to make a scene, she read on, ate cookies, and watched the clock. As the daring "cookie thief" kept on eating the cookies she got more irritated and said to herself, "If I wasn't so nice, I'd blacken his eye!" She wanted to move the cookies to her other side but she couldn't bring herself to do it. With each cookie she took, he took one too. When only one was left, she wondered what he would do. Then with a smile on his face and a nervous laugh, he took the last cookie and broke it in half. He offered her half, and he ate the other. She snatched it from him and thought, "Oh brother, this guy has some nerve, and he's also so rude, why, he didn't even show any gratitude!" She sighed with relief when her flight was called. She gathered her belongings and headed for the gate, refusing to look at the ungrateful "thief." She boarded the plane and sank in her seat, reached in her bag to get a book to read and forget about the incident As she reached in her baggage, she gasped with surprise, there was her bag of cookies, in front of her eyes. How often have you be absolutely convinced of something, only to find out later that you were mistaken? Perhaps you were certain you put your keys on the dining table, but found them in your pants pocket. Or you were convinced you failed an exam, but ended up getting a B. Most of us have a tendency to err on the side of pessimism, justifying this by claiming it is more “realistic” and saying that we don’t want to get our hopes up and be disappointed. Unfortunately, we don’t really do ourselves any favors by doing so. I mean, think about it, why would we want to bet against ourselves? Does being pessimistic make us more determined, persistent, focused, poised under pressure, enthusiastic, resilient, and lead to more dynamic performances? Yeah…not so much. 11. "If Jackie Kennedy can do it, so can I.
" William Miller, in The Joy of Feeling Good, relates the story of a woman who went to a psychiatrist because she was severely depressed. As her therapist began to probe her emotions, he discovered she had never worked through the death of her husband many years before. Her husband had died one week after President Kennedy was assassinated. This woman had watched with admiration how well Mrs. Kennedy handled the shock and trauma of her husband's death, and when her own husband died, she made up her mind to be just as composed, calm, and brave, saying to herself, "If Jackie Kennedy can do it, so can I." She did not realize that Jackie Kennedy on national television was not Jackie Kennedy behind the scenes, sharing her heartbreak with her family and friends. So that woman's grief remained repressed because she never let herself express what she was really feeling. (1) Have you ever known what it is to have a breaking heart? Have you ever let go and let the tears fall without regard for what others might think? Luke tells us about a woman who did just that. He tells us about a woman at Jesus’ feet at a banquet, whose heart was breaking in two. 12. “And that's the way it is with us." In his book, Healing for Damaged Emotions, David Seamonds deals with people who have scars that nobody else can see. He uses the analogy of those beautiful giant sequoia and redwood trees in the far western part of our country: "In most of the parks," says Seamonds, "the naturalists can show you a cross section of a great tree they have cut, and point out that the rings of the tree reveal the developmental history, year by year. Here's a ring that represents a year when there was a terrible drought. Here are a couple of rings from years when there was too much rain. Here's where the tree was struck by lightning. Here are some normal years of growth. This ring shows a forest fire that almost destroyed the tree. Here's another of savage blight and disease. All of this lies embedded in the heart of the tree, representing the autobiography of its growth. "And that's the way it is with us," Seamonds continues. "Just a few minutes beneath the protective bark, the concealing, protective mask, are the recorded rings of our lives. "In the rings of our thoughts and emotions, the record is there; the memories are recorded, and all are alive. And they directly and deeply affect our concepts, our feelings, our relationships. They affect the way we look at life and God, at others and ourselves." (2) If we could look into the heart of this woman described in today’s gospel, we might not be so harsh in our judgment of her. What brought her to such a wretched position in life? Was she abused as a child? 13. "Cleo really likes you, dear, and she is an excellent judge of character. A certain young woman was nervous about meeting her boyfriend's parents for the first time. As she checked out her appearance one last time, she noticed that her shoes looked dingy. So she gave them a fast swipe with the paper towel she had used to blot the bacon she had for breakfast. Arriving at the impressive home, she was greeted by the parents and their much-beloved, but rotten-tempered, poodle. The dog got a whiff of the bacon grease on the young woman's shoes and followed her around all evening. At the end of the evening, the pleased parents remarked, "Cleo really likes you, dear, and she is an excellent judge of character. We are delighted to welcome you into our little family." It seems that perhaps Cleo was a better judge of bacon grease than she was a judge of character. The Pharisees who invited Jesus for a banquet believed that Jesus wasn't a very good judge of character when he allowed a sinful woman to kiss his feet.